Vimeo vs YouTube vs Dailymotion: Which Video Platform is Right for You? 1.2	Vimeo Basic, Vimeo Plus or Vimeo Pro: Which is Right for You? 1.3	Vimeo vs YouTube: Which is Better? 1.4	Vimeo vs YouTube vs Dailymotion: Which Video Platform is Right for You? 3.4	Which is Better Video Editor for iPhone? Cameo or FilmoraGo? If you are an upcoming entrepreneur who is looking forward to an effective video marketing strategy then you have to come to a decision regarding the portal you want to use for your marketing. As you should know by now YouTube , Dailymotion and Vimeo are the 3 major players in the field of video marketing. In this article we are going to give you a comparative analysis of all these video sharing platforms so that you can select the one most suited to your needs. 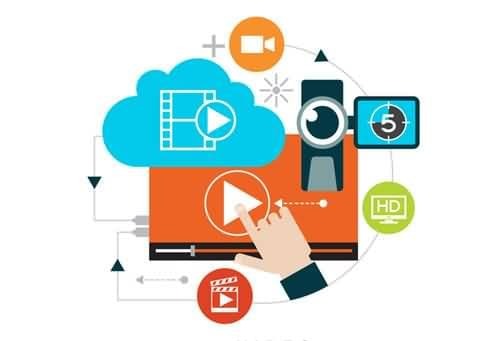 Before deciding which video platform to choose you need to find out about the content in which each of them specializes. Youtube: If your content is more related to entertainment then YouTube is the platform to go for. Vimeo: Vimeo is a closed community specializing in videos by artists from various genres and is considered to be a more creative platform than YouTube. Dailymotion: Dailymotion has a fair share of both but it resembles the YouTube trend. Youtube: YouTube’s audience is large, with over 1 billion users that watch hundreds of millions of hours of content – each day! Vimeo has a much smaller for their audience, its 170 million viewers, about 42 million are in the United States. Vimeo: Vimeo comes with 4 membership options – the Basic which is available for free and the paid Plus, ($59.95/ year) Pro ($199.00 a year) and Business membership ($599.00 a year). The storage level and support for each membership option varies. The free membership is limited to just 500 MB/week. YouTube and Dailymotion on the other hand are totally free, and Youtube gives unlimited hosting. However YouTube Red is a $9.99 subscription service which will allow you to watch ad free videos and download them for watching offline. Dailymotion: DailyMotion is the world's second-largest video sharing website behind YouTube, statistics claimed by both companies show that YouTube has a significant advantage over DailyMotion in terms of unique site visits, totaling one billion visits per month compared with DailyMotion's 112 million visits per month. Youtube: One of the best parts about this platform is that it doesn’t come with any upload limit. Dailymotion: Regular users can upload 60 minutes videos of 2 GB limit and the quality of upload is limited to 1280 720p. Vimeo: With Basic plan you can upload 500MB/week, with Plus plan you can upload 5GB/week and with Pro plan you will be able to upload unlimited videos with a per file limit of 25 GB. To begin with both Vimeo and YouTube had a very similar kind of user interface. This has gradually evolved with the years and these days the user interface of Vimeo is more attractive than YouTube. Vimeo would give the user less adverts, offer easy navigation and of course allow them to watch the videos on a large video player. Though these days YouTube is also offering a ‘theatre mode’ for full screen view along with a skip ad option, yet the quality of it’s user experience is still isn’t at par with Vimeo. YouTube is still trying its best to satisfy its one billion/month users but still Vimeo is the winner when it comes to unparalleled user experience. Before uploading your video on any one of these above mentioned platforms the first thing you have to do is get your videos edited. The Wondershare Filmors is a comprehensive video editor which is ideal for use by beginners. With this software you will be able to nicely edit a video even if you have no prior knowledge about video editing. This easy to use video editing software is loaded with lots of useful features which can be effectively used by the casual and novice editors. This software is packed with all you need to create good quality videos for your audience on YouTube, Vimeo or DailyMotion. All you need to do is import the video clips and choose a pre-programmed music and theme for your video. The software would then analyse your video clips and automatically create a video for you. 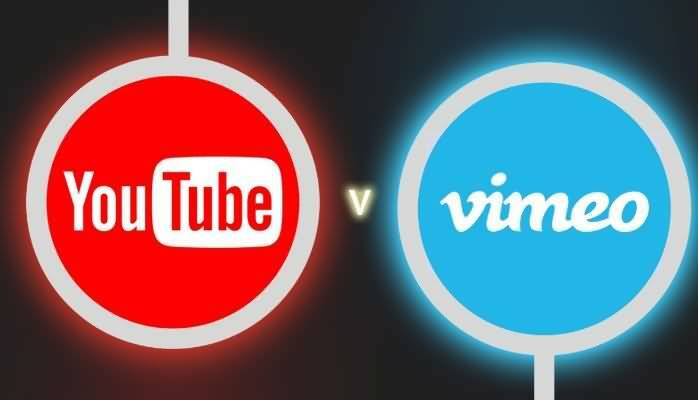 Vimeo vs YouTube: Which is Better? Where there is any kind of censorship of any kind, I am not going to use any. Rather have one which does not censor anything ever. I find YouTube very user-friendly. Vimeo and DailyMotion seem somewhat less so to me, perhaps somewhat elitist in their style. hmm daliy motion is only 720p? Hmm.